Our mission is to bring together a diverse group of internet-based media fans in an inclusive environment to engage in fannish activities and foster meaningful connections. We aim to provide programming created and led by attendees, on topics drawn from a variety of sources and involving everything from detailed meta to wildly creative fanworks, encompassing all aspects of fandom culture. We’re a by-the-fans, for-the-fans convention run by the same people who brought you Wincon for 10 great years. Wincon started out as Winchestercon in 2006, a Supernatural (the television show) fan con. 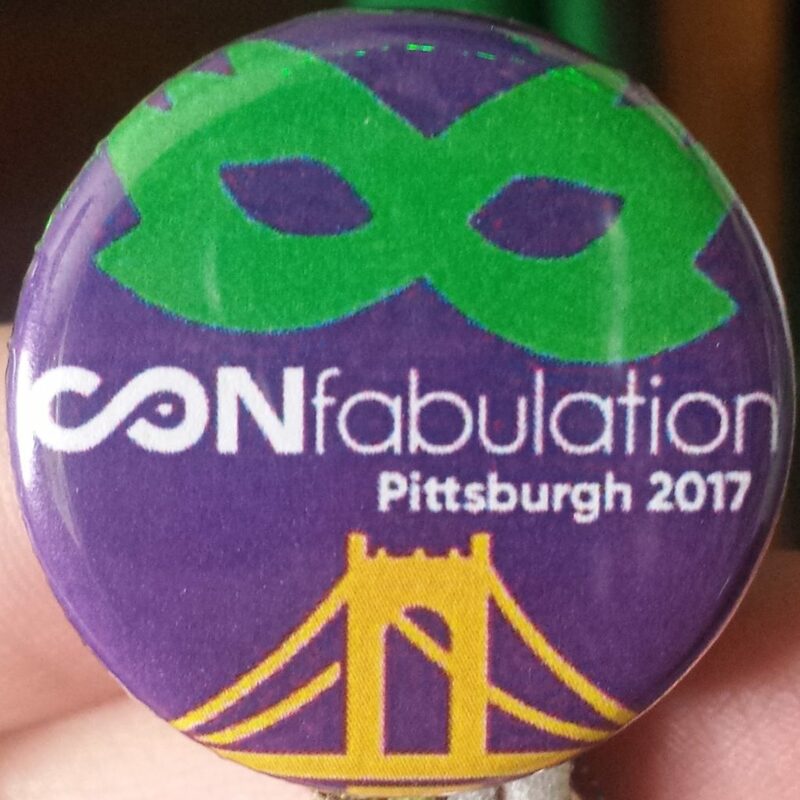 The First Annual CONfabulation was held May 25-28, 2017 in Pittsburgh, Pennsylvania. It was located at Pittsburgh Marriott City Center, 112 Washington Place, Pittsburgh, Pennsylvania, 15219. Click here to see the 2017 Vid Show playlist. Attendee Swag Bag: The backpack was purple with the CONfabulation logo printed on it in black.It included a green plastic cup, a purple pen, glowstick bracelets, and candy. Also included program and alumni pin. CONfabulation’s official colors this year were Green, Purple, and Gold. The dance party theme was Masquerade. The charity raffle raised $580 for Planned Parenthood of Western Pennsylvania. Fandom Trivia – The winning team this year was “Otter Space Squad” with 48 points. Runners-up were “One for the Money Shot” with 41 points, “Hot Crossed Gender Roles” with 39 points, and “2Post2Modern” with 37 points. Bad Fic Idol – The winner this year was “The Existensial Primary Struggle Against The Patriarchy: A Study” by clex_monkie89. The Second Annual CONfabulation was held October 26-28, 2018, in Chicago, Illinois, at the SpringHill Suites Chicago O’Hare. At the end of the weekend, it was announced that CONfabulation would be returning to this same city and hotel next year, with plans to make this our home location. Click here to see the 2018 Vidshow Playlist. CONfabulation’s official colors this year were Orange and Black. The dance party theme was Halloween. The charity raffle raised $467 for Center on Halsted.